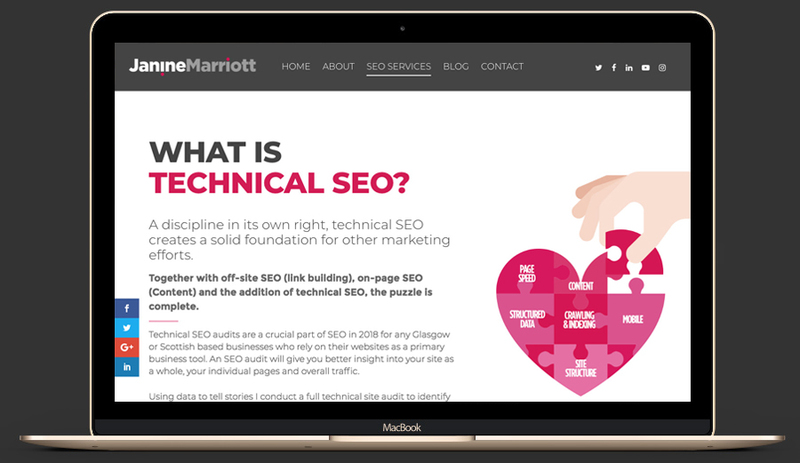 Janine Marriott is a specialist Business SEO Consultant. 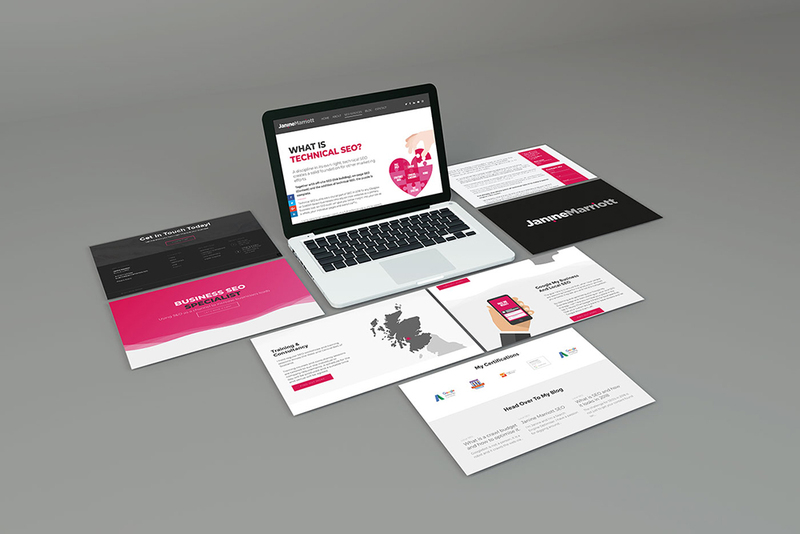 As a web design agency, we were commissioned by Janine to brand her new business and build a striking website that was to stand out amongst her competitors. A strong and simple concept of taking the dots on the i's within Janine's name to represent improving results provides a strong foundation. To reinforce this, watermarked images of climbing results are used. Working with the associated colour palette a minimal and mobile orientated website provides Janine with an editable, and easily managed website. Perfect for any SEO. For any business website speed is important - for an SEO it is paramount. The use of flat graphics is a perfect solution for this business and avoids the cliche stock photographs often seen on this type of site.